Publicado el 15 de marzo de 2019 en Trupadoor Rec. 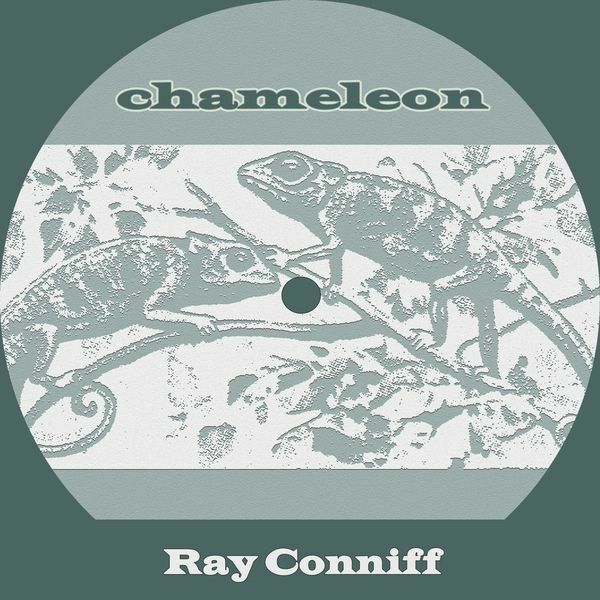 Ray Conniff, Composer, Author, Artist, MainArtist Copyright : 2019 Trupadoor Rec. 2019 Trupadoor Rec. P. Campbell, Composer, Author - Ray Conniff, Artist, MainArtist - J. Newman, Composer, Author Copyright : 2019 Trupadoor Rec. 2019 Trupadoor Rec. Howard Dietz, Composer, Author - Arthur Schwartz, Composer, Author - Ray Conniff, Artist, MainArtist Copyright : 2019 Trupadoor Rec. 2019 Trupadoor Rec. C. Joyner, Composer, Author - R. Cartey, Composer, Author - Ray Conniff, Artist, MainArtist Copyright : 2019 Trupadoor Rec. 2019 Trupadoor Rec. Rene Rouzaud, Composer, Author - Jack Lawrence, Composer, Author - Marguerite Monnot, Composer, Author - Ray Conniff, Artist, MainArtist Copyright : 2019 Trupadoor Rec. 2019 Trupadoor Rec. Richard Rodgers, Composer, Author - Lorenz Hart, Composer, Author - Ray Conniff, Artist, MainArtist Copyright : 2019 Trupadoor Rec. 2019 Trupadoor Rec. B. Black, Composer, Author - Ray Conniff, Artist, MainArtist - N. Moret, Composer, Author - E. Lemare, Composer, Author Copyright : 2019 Trupadoor Rec. 2019 Trupadoor Rec. Don Gibson, Composer, Author - Ray Conniff, Artist, MainArtist Copyright : 2019 Trupadoor Rec. 2019 Trupadoor Rec. Jean Hebrail, Composer, Author - Leo Robin, Composer, Author - Ralph Rainger, Composer, Author - Ray Conniff, Artist, MainArtist Copyright : 2019 Trupadoor Rec. 2019 Trupadoor Rec. Irving Berlin, Composer, Author - Ray Conniff, Artist, MainArtist Copyright : 2019 Trupadoor Rec. 2019 Trupadoor Rec. Victor Young, Composer, Author - H. Adamson, Composer, Author - Ray Conniff, Artist, MainArtist Copyright : 2019 Trupadoor Rec. 2019 Trupadoor Rec. Johnny Mercer, Composer, Author - David Raksin, Composer, Author - Ray Conniff, Artist, MainArtist Copyright : 2019 Trupadoor Rec. 2019 Trupadoor Rec. Noel Sherman, Composer, Author - Peter Mösser, Composer, Author - Ray Conniff, Artist, MainArtist Copyright : 2019 Trupadoor Rec. 2019 Trupadoor Rec. George Gershwin, Composer, Author - Ira Gershwin, Composer, Author - Ray Conniff, Artist, MainArtist Copyright : 2019 Trupadoor Rec. 2019 Trupadoor Rec. N. Miller, Composer, Author - S. Miller, Composer, Author - Ray Conniff, Artist, MainArtist Copyright : 2019 Trupadoor Rec. 2019 Trupadoor Rec. W. King, Composer, Author - E. Van Alstyne, Composer, Author - V. Young, Composer, Author - Ray Conniff, Artist, MainArtist - Heaven Gillespie, Composer, Author Copyright : 2019 Trupadoor Rec. 2019 Trupadoor Rec. T. GILKYSON, Composer, Author - R. DEHR, Composer, Author - F. Miller, Composer, Author - Ray Conniff, Artist, MainArtist Copyright : 2019 Trupadoor Rec. 2019 Trupadoor Rec. Bob Merrill, Composer, Author - Ray Conniff, Artist, MainArtist Copyright : 2019 Trupadoor Rec. 2019 Trupadoor Rec. B. RAM, Composer, Author - Ray Conniff, Artist, MainArtist - A. Rand, Composer, Author Copyright : 2019 Trupadoor Rec. 2019 Trupadoor Rec. L. Handman, Composer, Author - R. Turk, Composer, Author - Ray Conniff, Artist, MainArtist Copyright : 2019 Trupadoor Rec. 2019 Trupadoor Rec. N. Kenny, Composer, Author - J. F. Coots, Composer, Author - Ray Conniff, Artist, MainArtist - C: Kenny, Composer, Author Copyright : 2019 Trupadoor Rec. 2019 Trupadoor Rec. Ray Conniff, Artist, MainArtist - Meade Minnigerode, Composer, Author - George S. Pomeroy, Composer, Author - Tod Galloway, Composer, Author Copyright : 2019 Trupadoor Rec. 2019 Trupadoor Rec. Nat Burton, Composer, Author - WALTER KENT, Composer, Author - Ray Conniff, Artist, MainArtist Copyright : 2019 Trupadoor Rec. 2019 Trupadoor Rec. Cole Porter, Composer, Author - Ray Conniff, Artist, MainArtist Copyright : 2019 Trupadoor Rec. 2019 Trupadoor Rec. Andy Razaf, Composer, Author - HOAGY CARMICHAEL, Composer, Author - Ray Conniff, Artist, MainArtist Copyright : 2019 Trupadoor Rec. 2019 Trupadoor Rec. Al Stillman, Composer, Author - ROBERT ALLEN, Composer, Author - Ray Conniff, Artist, MainArtist Copyright : 2019 Trupadoor Rec. 2019 Trupadoor Rec. Jay Livingston, Composer, Author - Ray Evans, Composer, Author - Ray Conniff, Artist, MainArtist Copyright : 2019 Trupadoor Rec. 2019 Trupadoor Rec. L. Johns, Composer, Author - H. Salvador, Composer, Author - Ray Conniff, Artist, MainArtist Copyright : 2019 Trupadoor Rec. 2019 Trupadoor Rec. J. Whitney, Composer, Author - A. Kramer, Composer, Author - Ray Conniff, Artist, MainArtist Copyright : 2019 Trupadoor Rec. 2019 Trupadoor Rec.